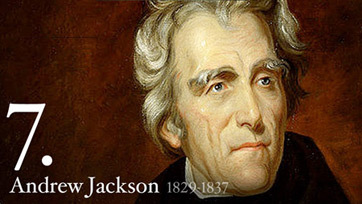 Andrew Jackson, our seventh President of the United States, is in rather an ok President. Considered as the "People's President" ... the most liberal president in history. His presidency however was neither bad nor good, but shared a fair amount of each. ... This preview is partially blurred. Sign up to view the complete essay. I'll let you be the judge of whether or not the good outweighs the bad. Edited for typos ... As for his Indian removal policy, I think enough has been said about how bad and unjust that was. ... Andrew Jackson was no James Buchanan, the milquetoast President when they really did secede in 1860, and South Carolina knew it.